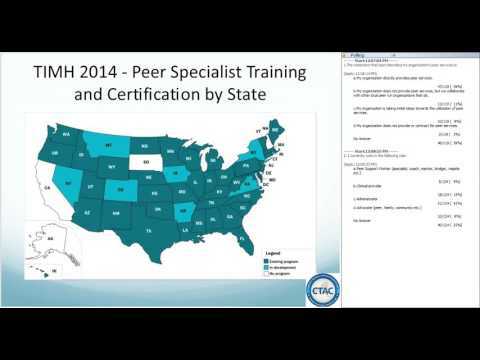 Peer support is now nationally recognized for its invaluable role in facilitating recovery. The role of peer support is evolving in healthcare and peer support specialists are now included in the workforce as members of interdisciplinary treatment teams. There are many opportunities to support individuals and families to achieve their self-identified goals and objectives in this environment; however, there are just as many challenges for maintaining the integrity of peer support in these circumstances. This webinar will focus on the ways peer supporters can maintain their integrity while effectively partnering with other providers.